The kukri is “named as world war II “because this knife was used during world war period. It”s very strong and sharp. 5.5” rat tail handle is made of water buffalo Horn and highly polished. Beside historical background the kukri is. The length of the blade is 11 inch and handle is 5 inch, making the overall length 16 inch. 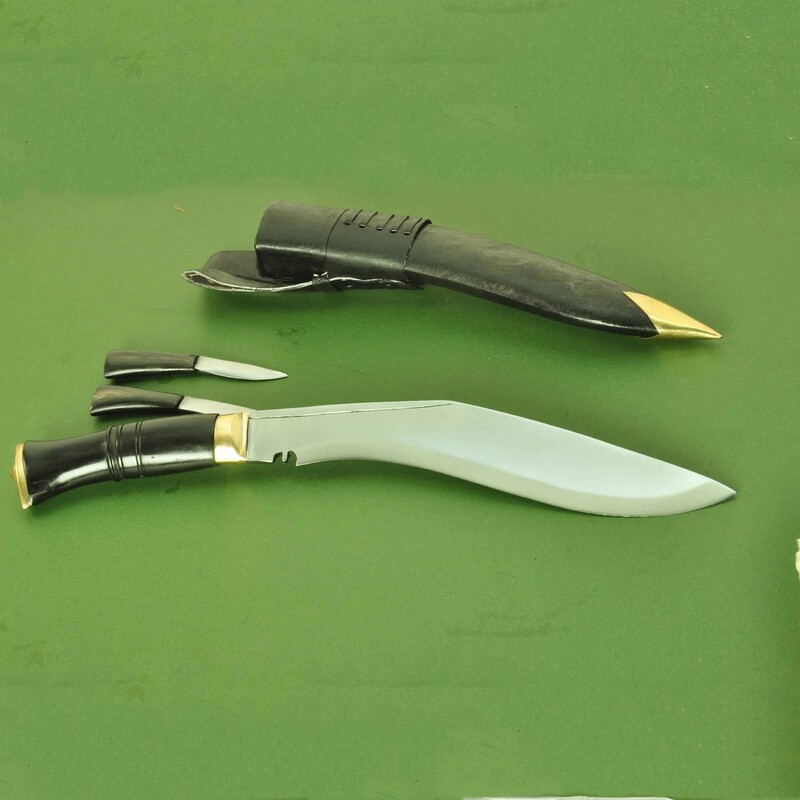 The Khukuri weighs about 900 grams.The Khukuri comes with two small accessory blades which are used for polishing and sharpening along with a water buffalo and pinewood scabbard. Handle Size: 5 Inches full tang handle made horn. Hardness of Steel: Spine: 22-25 RC,Belly: 45-46 RC,Edge: 58-60 RC. 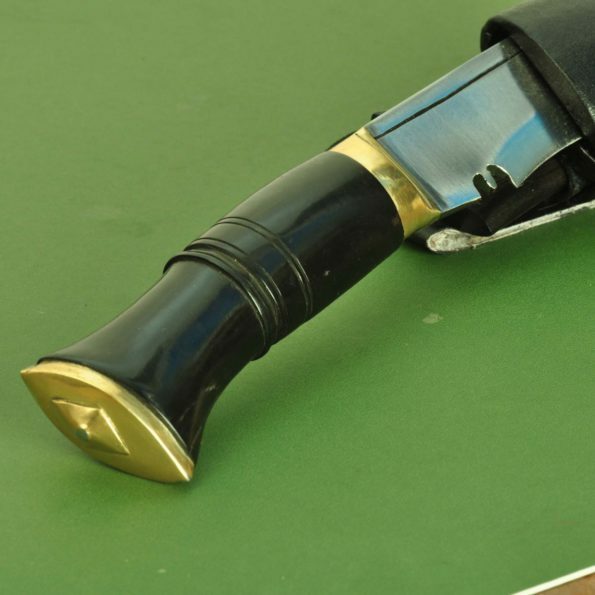 Material Used: Highly Grade Carbon Steel,highly-polished Blade.